Sam has problems. UFO's are keeping her up every night, dropping in for parts and coffee, and a suspicious Area 51 fanatic is determined to catch it all on video. To make matters worse, the bank wants to repossess the junkyard and build a casino. But Sam is determined to stop them, especially when she learns the junkyard is sacred ground! 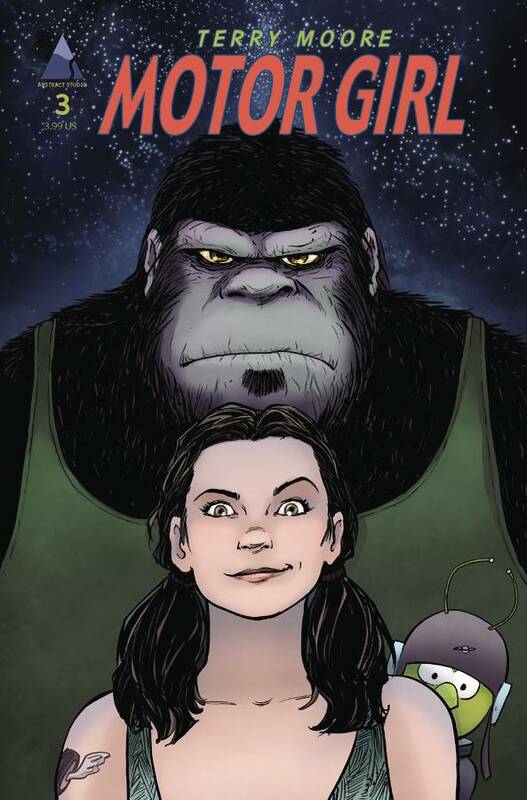 Don't miss the latest issue of this very funny story by Eisner Award-winner Terry Moore!